Have you ever looked inside a computer case before, or seen pictures of the inside of one? The small parts may look complicated, but the inside of a computer case really isn't all that mysterious. This video will help you master some of the basic terminology and understand a little about what goes on inside the four walls of the computer casing. Whether you're watching a YouTube video, downloading an email, buying a birthday present or linking up with friends online, you're sending data across the Internet. But how does "the web" actually work, and what lies behind it? Learn the basics of compter programming! This free, fun app has an easy drag and drop interface that can be used to animate Daisy to dance across the screen! Children can grasp basics of sequencing, loops and events by solving the apps's challenges. This new Bee-Bot App has been developed based on the well-loved Bee-Bot floor robot. The app enables children to improve their skills in directional language and programming through sequences of forwards, backwards, right 90 degree turns etc. 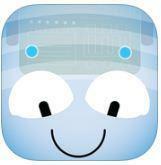 The app enables you to write an algorithm, sent it and the Blue-Bot will follow your instructions. This is a great app, similar to Bee-Bot that teaches children directional vocabulary and sequencing. Hopscotch is programming designed for everyone! In a few minutes, you'll be making characters move, dance, draw and interact. Control your project by tapping, tilting, shaking, and even shouting at your iPad.